I love browsing through men's clothing, because sometimes there's that rare item that looks so flattering on a girl. 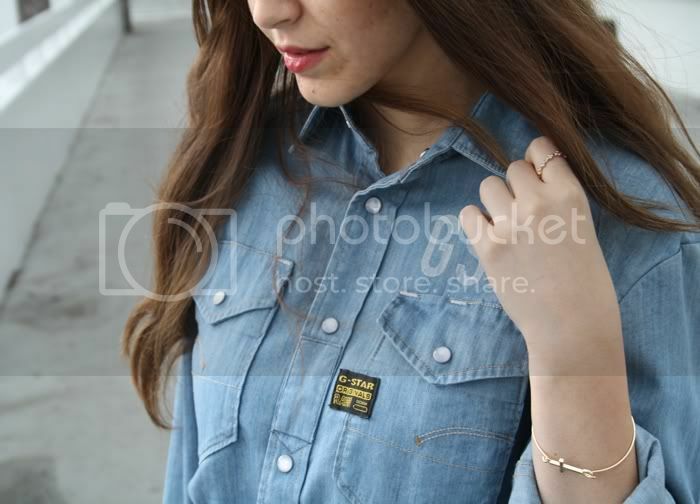 I love the details of this denim shirt, like the buttons, the big pockets and the visible stitching and text. Also love that it looks a little boxy on me. Gorgeous! Love a denim shirt. i totally agree with you! love it! Totally agree, that's why I keep peeking in my boyfriend's wardrobe! I'll post soon a complete boyfriend outfit! Beautiful and very inspiring posts! I like your blog! Would you like to keep in touch and follow each other?